He grew up in Rexburg, Idaho, where his father was an art professor at the local college and his mother taught second grade. His dad often took the family on painting excursion camp-outs. He loved the outdoors. 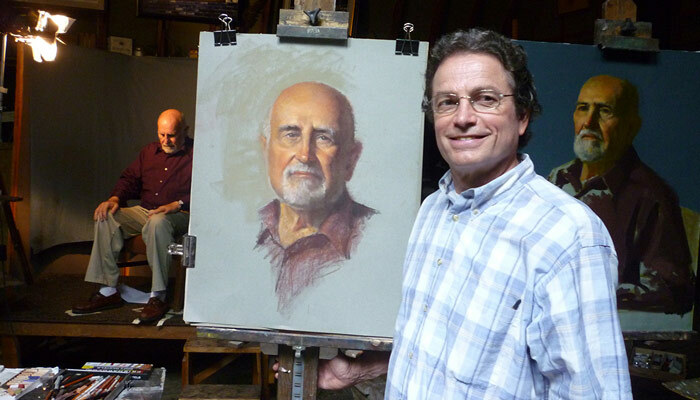 Drawing came naturally for him, and he found his father’s love of art to be contagious. Both his religious and historical paintings have received numerous regional and national awards. Now living in Utah with his wife and six children, he paints religious subjects to give others a sense of hope and share with them his love of life and its beauty.